Le Paradis is a stunning 5 star family friendly campsite that’s located on the banks of the Vezere river which is one of the most beautiful rivers in the Dordogne. Set within 17 acres of gardens Le Paradis as its name suggests is a beautiful paradise. The landscaping of the campsite is exquisite with an abundance of pretty flowers, bushes and trees located all around the site, separating pitches and providing a luscious and relaxing atmosphere. Although the campsite is fairly small in the number of pitches, it boasts a fantastic array of activities and facilities which make it one of the most popular campsites in the area. Along with the normal sports activities the river provides the perfect opportunity for a spot of fishing, canoeing, kayaking, swimming or just relaxing. The area surrounding the campsite is filled with some of the best countryside in the Dordogne, if not France, with plenty of beautiful villages entwined with the river as it meanders through the glorious fields, hills and woods. Those who prefer taking a dip in the campsite swimming pool will find that Le Paradis is perfect, with three fantastic swimming pools for a variety of ages along with a sun terrace and sun loungers for when you decide to dry off in the glorious sunshine. Whether you decide to stay on-site for your entire holiday or plan to get out and explore everything the Dordogne region of France has to offer, we are sure that you’ll have a fantastic holiday at Le Paradis campsite. 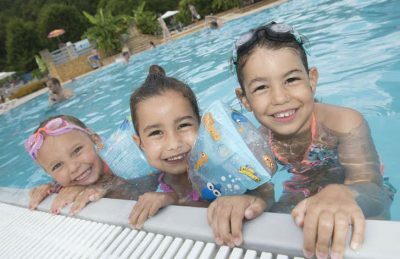 Le Paradis campsite offers a comprehensive selection of activities and facilities on site and also nearby to ensure you have a fantastic family holiday. On-site activities at Le Paradis campsite include tennis, table tennis, football, badminton, basketball, volleyball, boules, canoeing, playground and cycle hire. Facilities available at Le Paradis campsite include WIFI, restaurant, takeaway, bar, groceries, games room, tv room, animation team, washers and dryers. Accommodation at Le Paradis campsite includes a range of 2 and 3 bedroom mobile homes and tents that are available from Eurocamp.